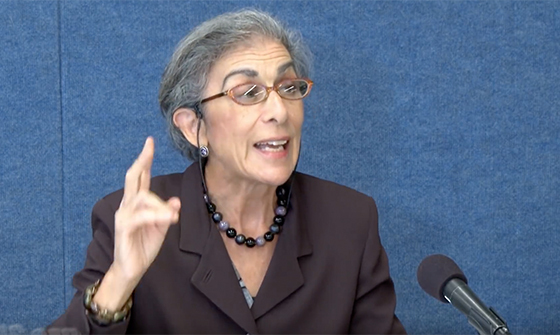 University of Pennsylvania law professor Amy Wax. Politicians all claim to be champions of the middle class. The eroding fortunes of the American middle class factored heavily in the election victory of Donald Trump. Yet almost everyone has forgotten that the middle class is, by and large, an American invention. That said, it traces its roots to the teachings of the Catholic Church, which worked their way westward across Europe over 12 centuries until crossing the Atlantic and arriving on the North American continent in the 1600s. On the day that the American colonies declared their independence, the poverty rate in Great Britain exceeded 80 percent. America’s reversal of that statistic, via the emergence of a large and vibrant middle class, is attributable largely to the happy combination of two factors. First, save admittedly for those who were at the time shamefully enslaved, the limitations of birth and social class that were common at the time in Europe and England were decisively cast aside by the American founders. This elimination of fixed social classes freed ordinary individuals to strive for success and wealth on their own terms. Prosperity followed. Second, America at the time was an overwhelmingly church-going nation. To date, no better institutions have been found for the purpose of creating a moral, law-abiding society than the churches and synagogues that we inherited from our European fathers. Yet say that to a liberal faculty member at almost any university today and you’re likely to see his or her head explode. Just ask University of Pennsylvania law professor Amy Wax. In an August 2017 article that she co-wrote with University of San Diego law professor Larry Alexander, she boiled the values that widespread church attendance did much to undergird down to 63 words. As bourgeois as it gets. ‘Racist!’ shrieked the Left. ‘Off with her head!’ cried her university colleagues. Where and from whom on the Left have you heard a better prescription? The debate topic we still need to hear. The left has no better prescription. It never has had any sort of better prescription. How the left thinks, to the extent that anyone on the left really thinks, is hard to understand. The left is, one must assume, so consumed by emotion (the negative kind) that rational examination of ideas and simple reality, and especially learning useful things from the obvious, is just beyond them. In regards to our culture, each of us must work to help steer our society back on a more straight upright path by communicating in a more civil way. When we speak, think not about if we can say this or that no matter how crude–as certain four letter words and other miscellaneous course phrases have become as of late increasing prevalent–but rather think about if we should say a thing just because we can. As a staunch advocate of The First Amendment, The Second Amendment, and ALL of The Bill of Rights myself, I do not need to use gutter-ish language to convey or communicate with my with my fellow human beings. Today, especially the younger generation, for example such as Mr. Hogg, a leader in the demonstration in Washington DC on Saturday, seem to have an affinity for using a certain word from the sixth letter of alphabet as noted in his recent public statements. Do people really think “that word” “and its related gutter-ish word cousins & phrases” have communicative value? I say NO. Such words serve only to move our society further away from civil society. And sadly, toward a society of the jungle–and who wants to live in there?, when we all have the FREEDOM and can CHOOSE to live on a higher plain above such pointless crassness. And the dang Left STOLE that House seat in Pennsylvania! The leftist intolerance of anyone, especially university professors, to state the obvious about the failure of their positions on social justice will be met swiftly and severely. They must isolate, ridicule, and eliminate those who would dare take issue or distract from their Socialist plan for the United States. Make no mistake, their relentless assault on a large and prosperous middle class in this country is the goal of the Progressive movement. It is no surprise that we do not hear of many professors like Wax and Alexander, as the price to pay is too steep. It is just too comfortable to toe the line and not rock the boat, and too uncomfortable to actually exercise free speech. Paul, the most disheartening thing about your commentary is that there would be any controversy or criticism over the values that were suggested in the article. These are the same values that most of our country embraced only a few short years ago. Next story Justice John Paul Stevens is just plain wrong. Previous story The elephant in the room.